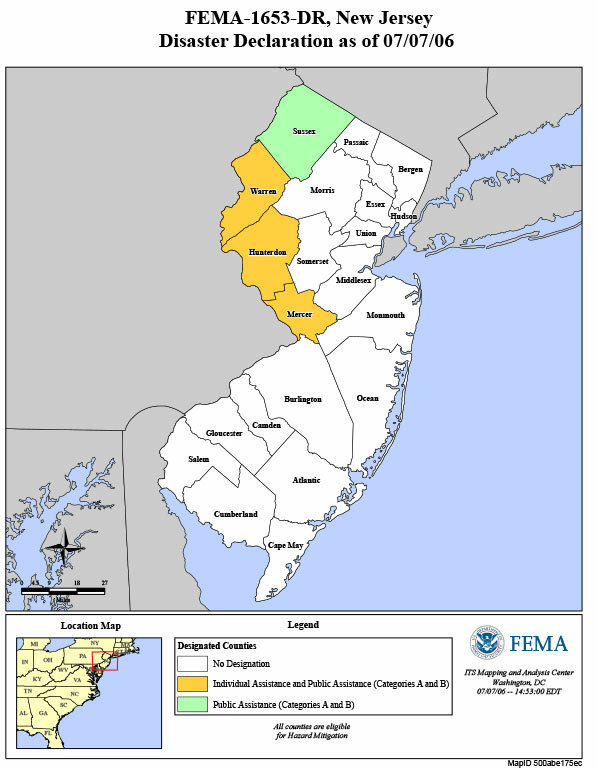 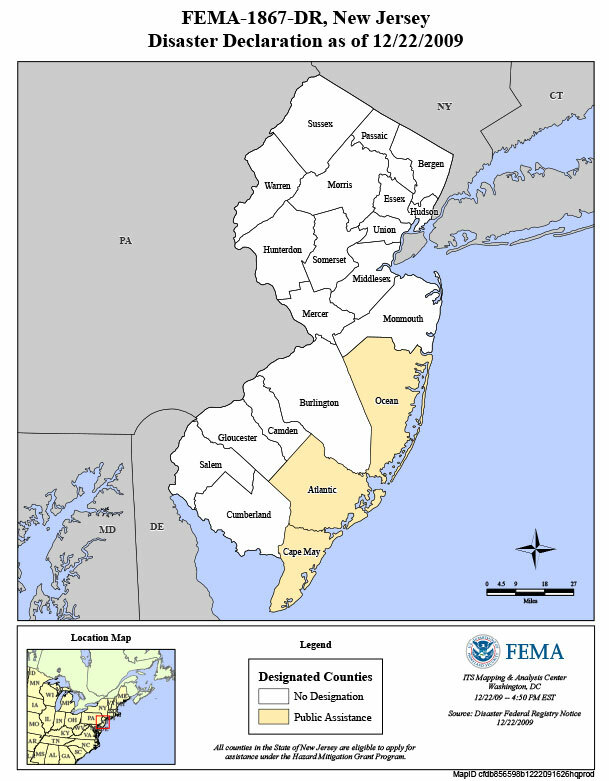 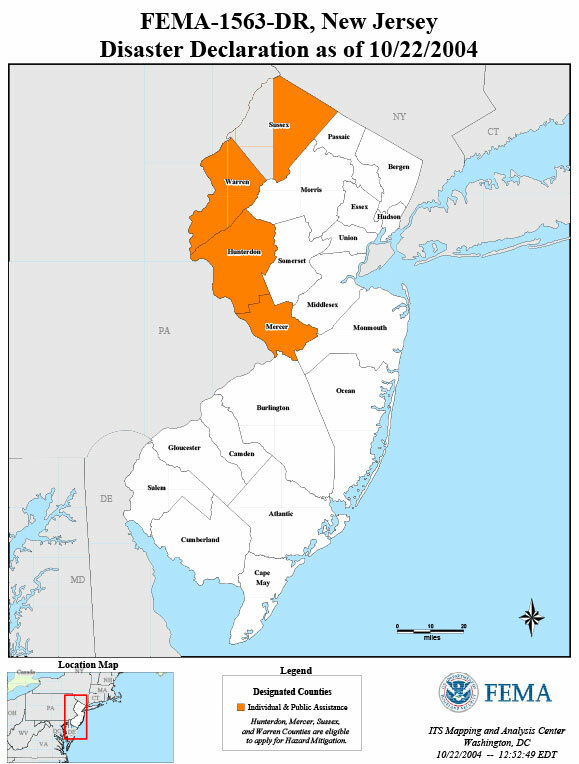 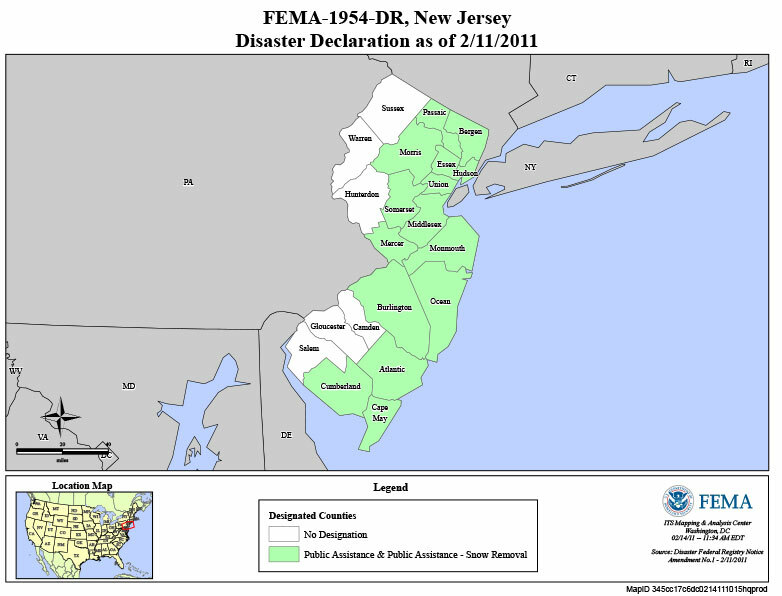 This state of the art high resolution flood map for New Jersey towns offers a unique picture of flood hazards, lifeline infrastructures, vulnerability assessments, and resiliency measures. 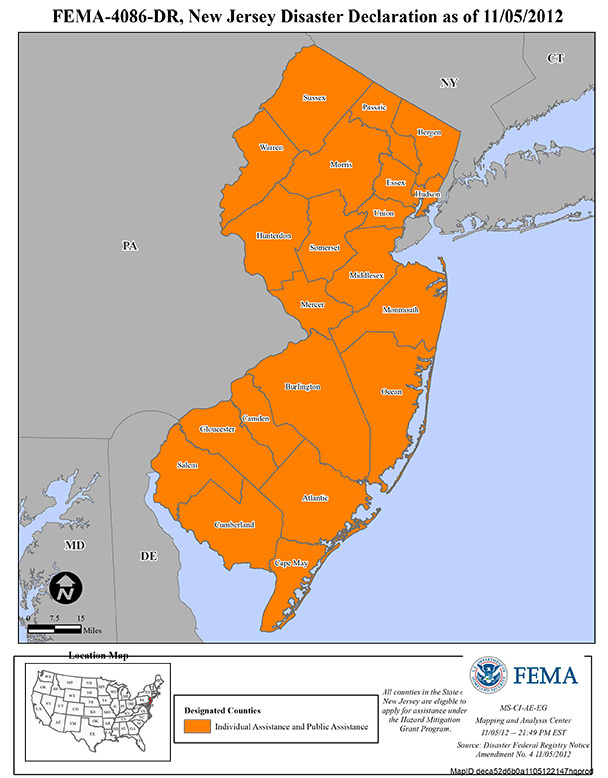 Click to view your town’s storm data. 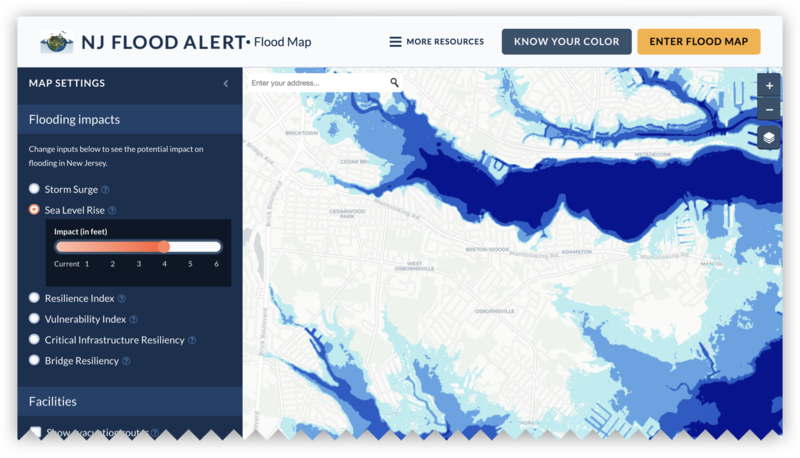 Helping you to plan and understand flooding and storms in your region with easy to use tools and resources. 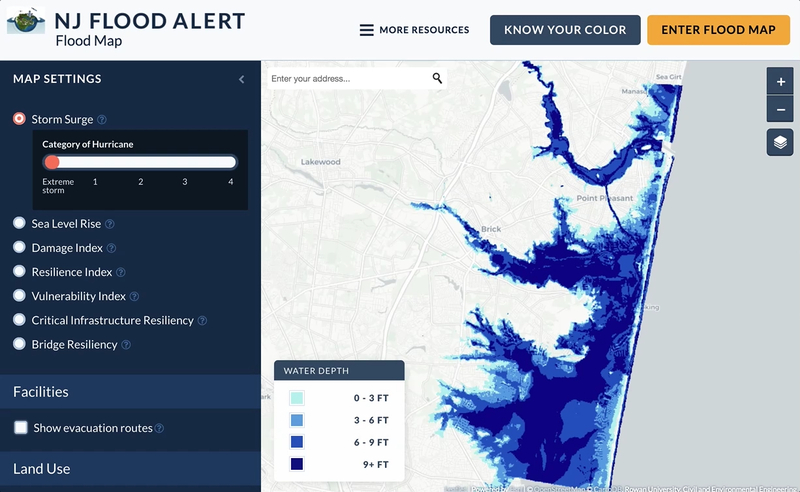 Use this webpage to access the most relevant and up to date resources and flood maps to become more resilient during flood and storm events. 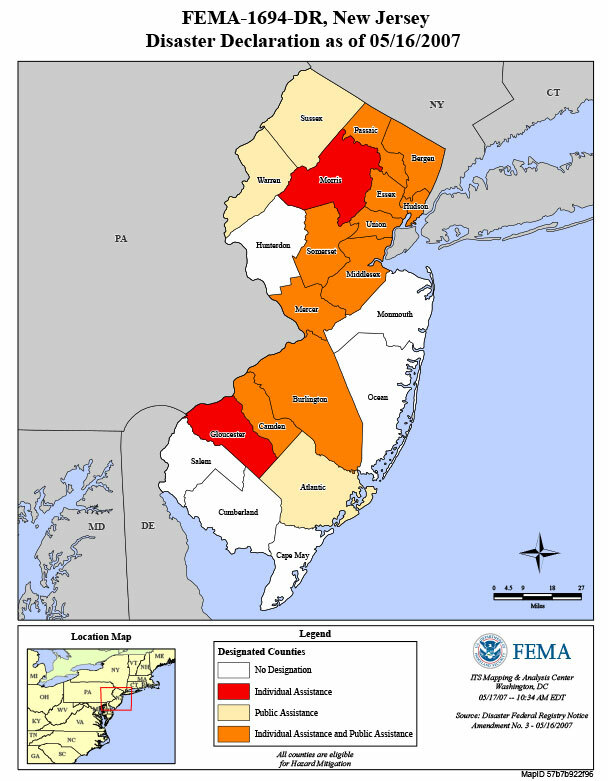 Storm surge and flooding brings coastal water inland. 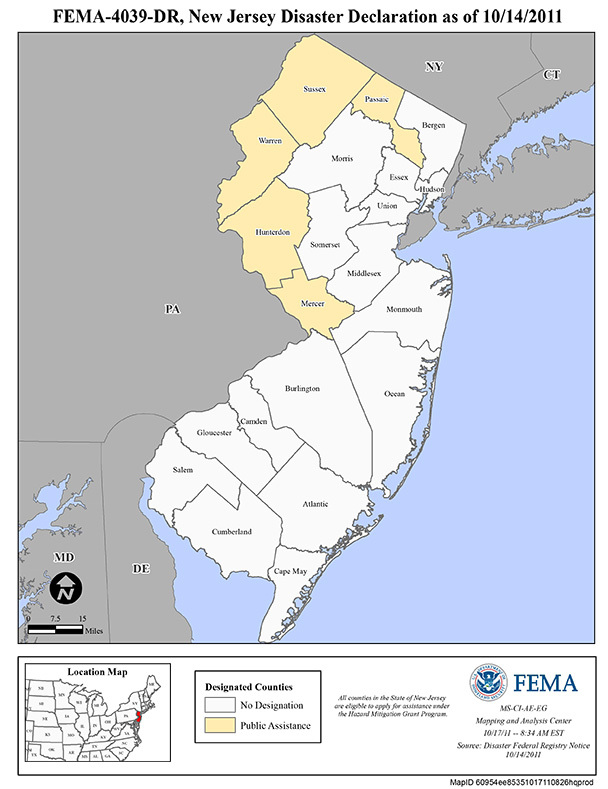 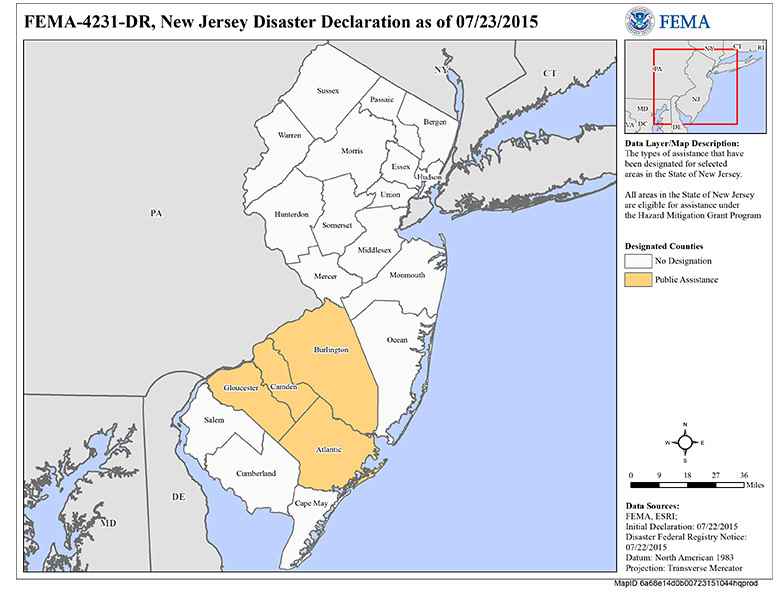 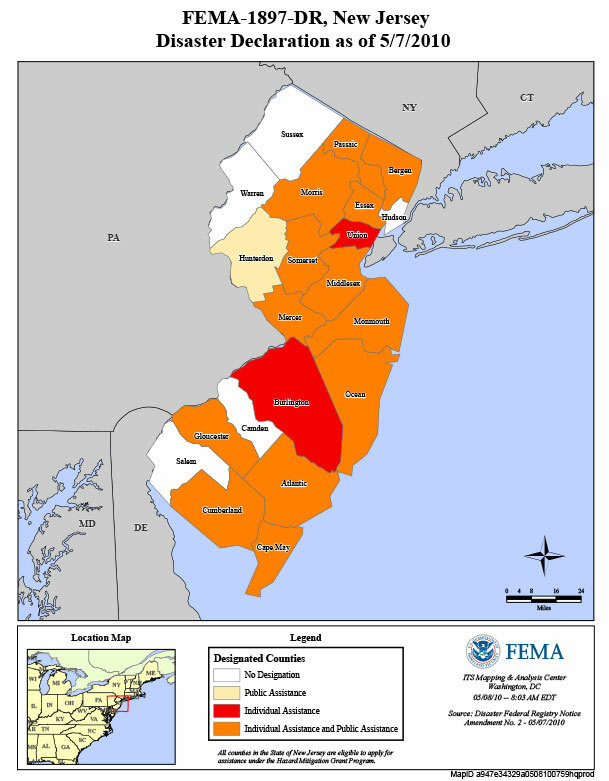 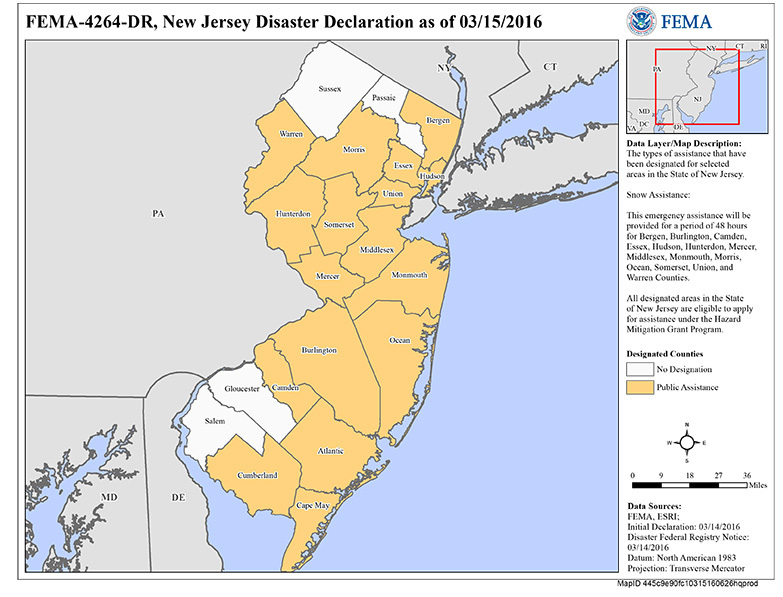 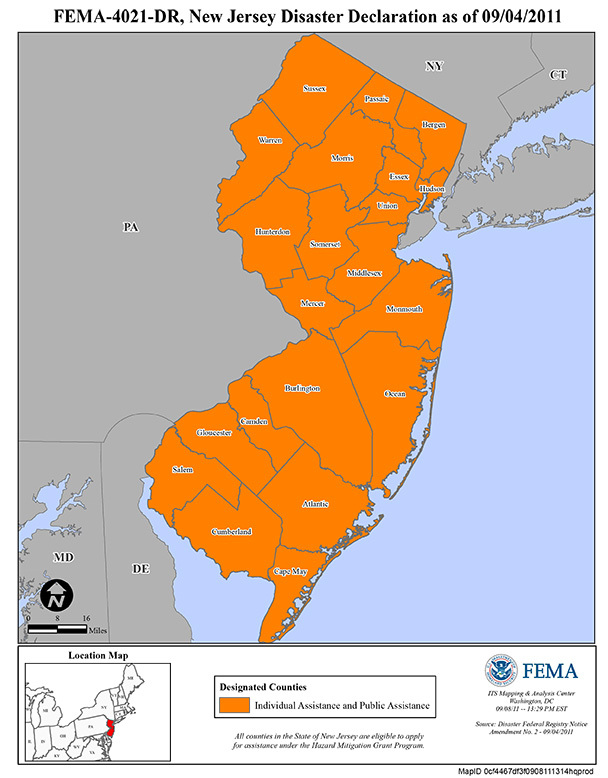 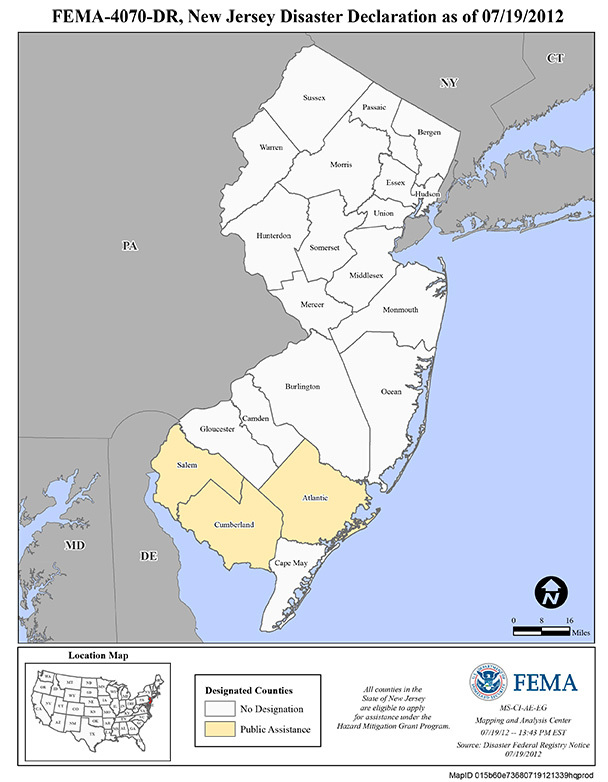 Use this map to help identify which areas and communities are vulnerable to coastal flooding when hurricanes, tropical storms, and Nor’easters reach New Jersey.